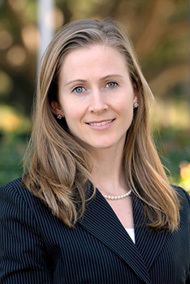 Hannah Elisha is an estate planning, probate, and trust litigation attorney with Stevenson Law Office. Ms. Elisha began her legal career as a litigator for Michel & Associates, P.C. in Los Angeles County. As an associate with Stevenson Law Office, Ms. Elisha helps clients achieve their personal objectives and navigate the intricacies of California estate and trust law. With half a decade of experience in the business sphere, Ms. Elisha also holds a Master of Business Administration from Chapman University Argyos School of Business and Economics and possesses well-developed business acumen which she applies in her practice.